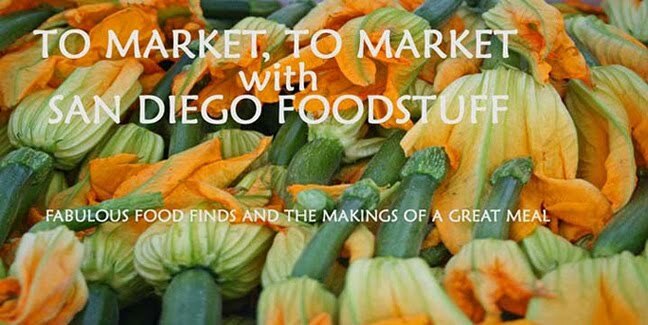 To Market, To Market with San Diego Foodstuff: That's How the Cookie Crumbles--And They're Delightful! That's How the Cookie Crumbles--And They're Delightful! 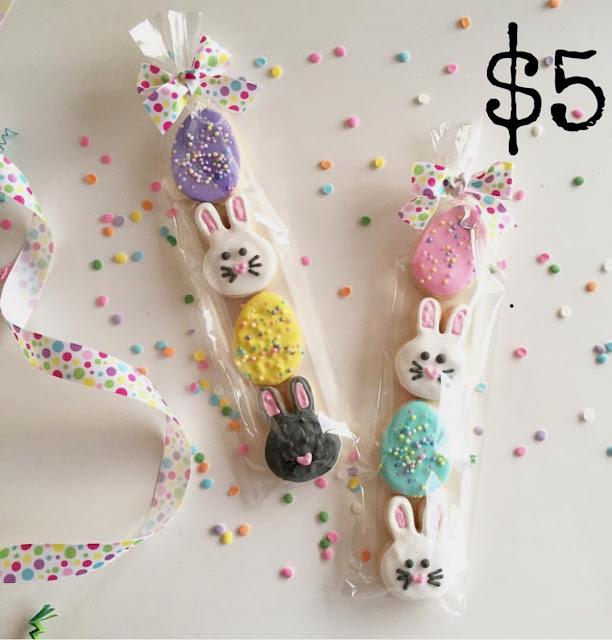 Easter is this Sunday and if you have a tradition of gifting friends and family with Easter-themed treats, have I got a source for you: Crumbles Bake Shoppe. 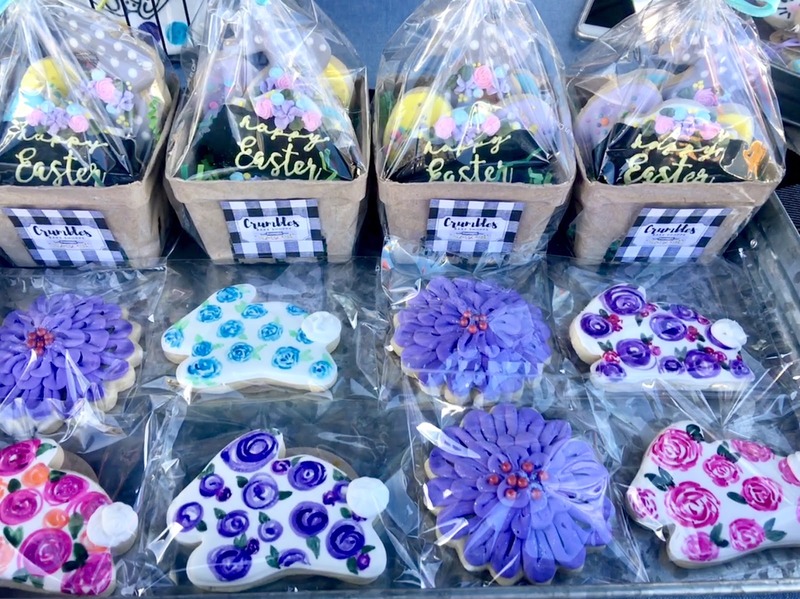 I met owner/baker Alandra Masaoy at her booth at the La Jolla Open Aire Market last Sunday, captivated by the array of colorful, exquisitely decorated vanilla sugar cookies she creates. Masaoy, who had been a vet tech for years, has been focused on this business since she launched it in last June from the home she shares with her husband Freddy in El Cajon. Masaoy is self taught. The idea was actually a shared dream with a friend of hers--but it involved making mini cakes, not cookies. "We talked about it for a long time, but it was always a dream. It just seemed like it was so out of our reach and we had no idea how to get started. I don't exactly remember how we went from cakes to cookies. But the first ones I ever made were horrible! I remember sending a picture of them to my sister and asking her if she would buy them. Her response was, "Yes...but only because you're my sister!" 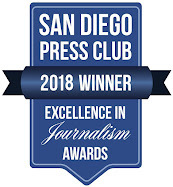 Eventually, though, Masaoy, who grew up in Chula Vista's Eastlake community, determined to walk the talk and make it happen. Between both of their work schedules, the timing with her friend didn't work out so she took the idea and ran with it on her own. 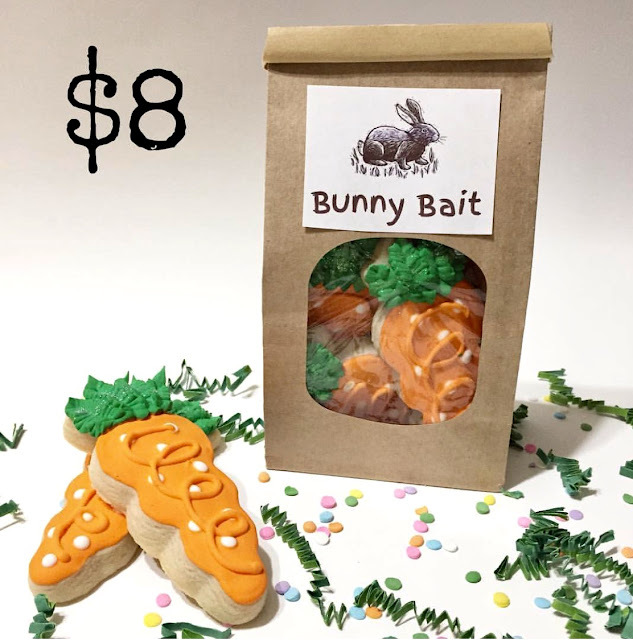 Masaoy said the cookies she sells now are the result of a lot of practice--everything from coming up with just the right sugar cookie to learning how to design and meticulously decorate them with icing, including hand painting the floral cookies. 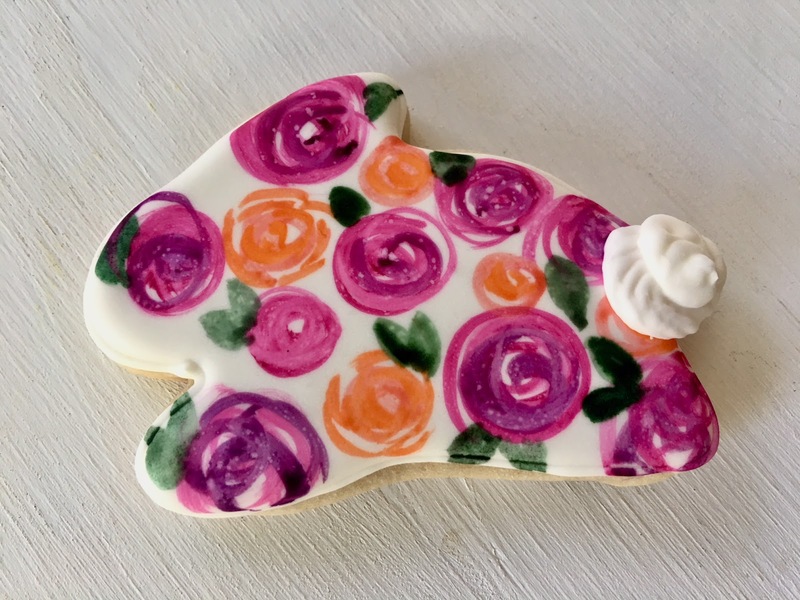 "My floral cookies are all hand painted free hand," she said. "I've always like doodling flowers but I never even know I could paint a decent looking flower until I tried on a cookie!" As beautiful as the cookies are, they are also quite delicious. They are thick, but with a nice bite and flavor. And, what surprised me, was that the icing is not overly, cloyingly sweet. It's a terrific cookie, almost too pretty to eat. Masaoy finds inspiration everywhere, always thinking about how she can turn what she sees into a cookie. "I've also found a whole world of other cookiers online, so there are always ideas, tips, and tricks being shared." Currently, you can find Masaoy and her Crumbles Bake Shoppe monthly at the La Jolla Open Aire Market. Masaoy will also be at the Antique Craft Fair at Summers Past Farms in Flinn Springs near El Cajon on Saturday, April 21. 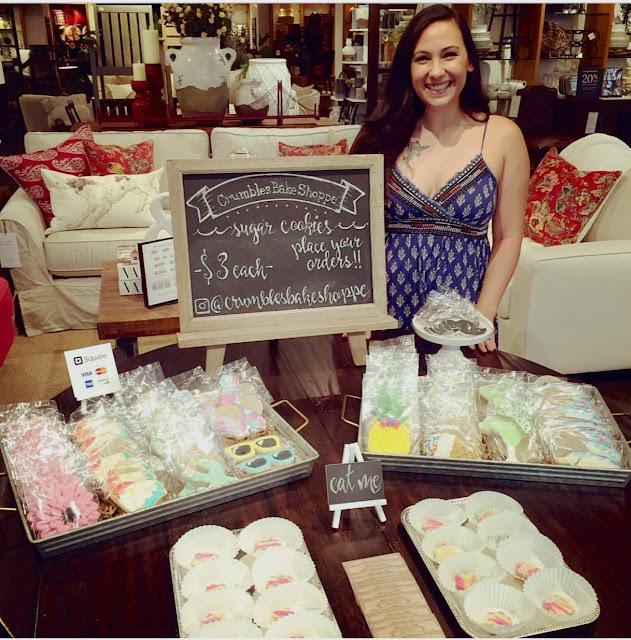 But her big news is that she will have a space at the new SoCal Made at the Westfield Mission Valley Mall between the movie theater and Bath and Body Works. 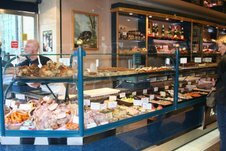 The store is holding its grand opening this Saturday, March 31 from 4 to 8 p.m. Cookies, Masaoy said, will be available for purchase there. Eventually, Masaoy said, she'd like to have her own storefront or little bake shop one day--and maybe then consider making mini cakes again. And she's been throwing around the idea of teaching a class in the future. In the meantime, you can find her designs on Instagram under the handle crumblesbakeshoppe. And you can request special orders from her via email (curmblesbakeshoppe.sd@gmail.com) or phone (808-226-9120). Orders, she said, are usually picked up from her house but depending on how far they are from El Cajon, she will sometimes meet people half way.